My dog has been bitten by a snake. Will he die? "There are approximately three thousand species of snakes in the world with less than five hundred venomous species." Rattlesnakes account for most venomous snakebites and for almost all deaths. Most other venomous snakebites are by copperheads and, to a lesser extent, cottonmouths (water moccasins). Coral snakes account for less than one percent of all bites. What are the signs of snakebite? In dogs bitten by a non-venomous snake, swelling and bruising around the bite are the most common clinical signs. In some cases, it may still be possible to see the paired puncture wounds from the fangs in the center of the wound. The bite may be very painful and may become infected if not treated by a veterinarian. There will be very little progression of the swelling unless infection develops. Most swelling resolves within forty-eight hours in uncomplicated cases. The clinical signs associated with a venomous snakebite vary based on the species of snake. As a general rule, there is extensive swelling that often spreads rapidly. Bleeding or a bloody discharge often occurs at the site of the bite. The puncture wounds from the fangs may not be visible due to either the rapid swelling or the small mouth size of young or small snakes. "The puncture wounds from the fangs may not be visible." The venom of most North American pit vipers (crotalids) contains toxic protein components, which produce local and systemic effects. These effects may include local tissue and blood vessel damage, hemolysis or destruction of red blood cells, bleeding or clotting disorders and lung, heart, kidney, and neurologic defects. Crotalid venom can cause shock, hypotension (low blood pressure), and lactic acidemia (a disturbance in the pH of the blood). 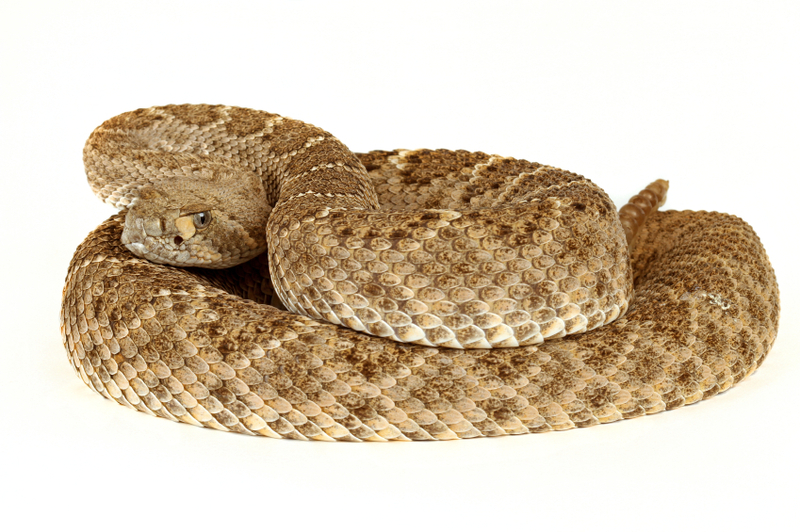 The venom of most North American pit vipers causes only minor neuromuscular disease, although Mojave and Eastern diamondback rattlesnake venom may cause serious neurologic deficits. Coral snake (elapid) venom contains primarily neurotoxic components (components that are toxic to the neurologic system), which result in neuromuscular damage. There are often minimal symptoms and signs seen at the bite site. How is a diagnosis of snakebite envenomization made? 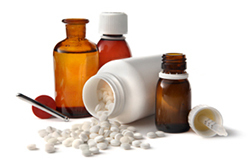 Diagnosis is primarily made on medical history and clinical signs. If the type of snake is unknown, diagnosis and treatment will be directed at the presenting clinical signs. What first aid treatment should I do on my way to the veterinarian? "If possible, carry the dog rather than allowing the dog to walk." First aid is aimed at reducing rapid spread of venom in the body. If possible, carry the dog rather than allowing the dog to walk. Bathe the wound with cold water to control swelling. If a limb is affected, apply a tourniquet using a tie, stocking etc. Loosen for approximately half a minute every five to ten minutes. Keep your pet quiet and warm on the journey to vet. What is the treatment for snakebite envenomization? Venomous snakebites are medical emergencies requiring immediate attention. Before treatment is begun, it must be determined whether the snake is venomous and whether envenomization occurred. Fortunately, a venomous snake may bite and not inject venom ("dry bites" occur in about twenty to thirty percent of pit viper bites and in about half of all of coral snakebites). When no envenomization occurs, or if the bite is inflicted by a non-venomous snake, the bite should be treated as a puncture wound. Non-venomous snakebites are generally treated with wound cleaning, antibiotics, anti-histamines and anti-inflammatory medications as indicated. "The correct treatment of venomous snakebites depends on the type of snakebite." The correct treatment of venomous snakebites depends on the type of snakebite. Copperhead envenomization is usually treated with a combination of antibiotics, anti-histamines, anti-inflammatory medications and fluid therapy to counter potential hypotension or shock. Rattlesnake and coral snake envenomization involves treatment for shock and administering appropriate antivenin. Rattlesnake envenomization is an immediately life-threatening situation and prompt medical assistance must be sought. Coral snake bites are also life threatening but the amount of venom injected is often inadequate to kill most large breed dogs. Cottonmouth envenomization may also require antivenin treatment in severe cases. Treatment to counter shock, low blood pressure, infection and respiratory distress is indicated in most cases of venomous snakebites. What is the prognosis for a dog bitten by a snake? The prognosis depends several factors, including: the size and species of the snake; the amount of venom injected; the number of bites; the location and depth of the bite (bites to the head and body tend to be more severe than bites to the legs or paws); the age, size, and health of the dog; the time elapsed before treatment; and the dog's individual susceptibility to the venom. The location of the bite is important. Swelling from bites around the muzzle and face can lead to breathing difficulties due to obstruction of the airway. "The location of the bite is important." Copperhead, cottonmouth and coral snake envenomization cases have a better prognosis for complete recovery than rattlesnake bites.